Today I am hosting an author spotlight for Sue Barr, whose novel, Catherine, was recently released. It is great to have Sue visit and allow us to learn a bit more about her as a person. 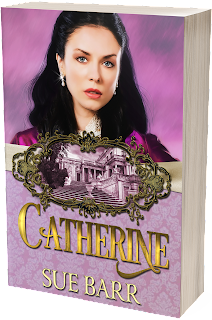 I love her willingness to share with readers, some of her personal experiences through her story about Catherine. That takes courage and I admire her for it. Thank you to Sue and Claudine for allowing me to host this spotlight. If it weren’t for my very own Top Gun, (aka Dear Hubby), I might never have started writing. He always said I should write a book and I’d shake my head, wondering where in the world did he come up with that idea. I guess he knew more than me (again) because in early 2009 I came home from work and began writing. As simple as that. December 2010, I sold my first manuscript to Turquoise Morning Press under a pen name, Madison J. Edwards, and from there had one full length novel, four novellas, one collection and two boxed sets published. I was basically dumped into the deep end of the publishing pool and had to learn how to tread water or drown. In 2014 I had all my rights reverted and began self-publishing under my own name. Since 2015 I’ve published three contemporary romances as well as my first #JAFF book - CAROLINE: Pride & Prejudice continued… Book One. Not once have I regretted this choice. I’m having a blast. I’m meeting wonderful new people every day and the #JAFF reading/writing community is warm and inviting. 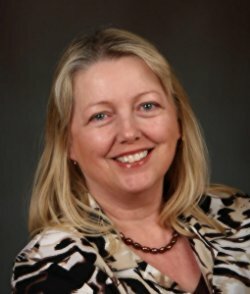 I retired in 2015 and write semi-full-time. I say semi because for me, writing is fun and I’m pretty busy as the full-time care giver for our grandson. Also, hubby’s work takes him out of country so when he’s home I like to spend time with him. After thirty-five years of marriage we still like one another’s company. In some ways this is a blessing and at other times a detriment because when it comes to finishing the book I need a fire lit beneath my keester. I’m not a procrastinator, per se, I just finish things… later. CATHERINE was an interesting story for me to write for two things. First off, I hated that she’s always thought of as a silly girl. Sometimes we behave in ways because it’s expected and I wanted to round out her personality a bit more than what we’ve read in canon. The second reason came about after I’d started her story. We know, from the tag line that Catherine has a deep dark secret which she believes makes her unmarriageable. As I plotted out the story line, (gasp from all my friends who know me to be a true-blue pantser), I struggled with what would make her think she could never marry. Early on I decided on a course of action. Without giving away the reason, I can tell you that I drew from personal experience. What Catherine experienced and thought are things I’ve experienced and thought and these actions/reactions mold your character. Like Catherine, it made me stronger. Like Catherine, it made me have great empathy for others who have struggled with this. And, like Catherine, I became more guarded with who I allowed close. My husband, who I based Lord George on, was persistent and refused to let me ‘get away’. How I love that man. Thank you for joining me in Catherine’s launch. I hope you buy (win?) a copy and let me know what you think. Some secrets are not meant to be shared. Catherine Bennet, known as Kitty to close friends and family, knows this better than anyone. She also knows that she will never marry and it never bothered her before she met Lord George Kerr at Elizabeth and Darcy’s wedding. He’s determined to breach the walls of defense she’d carefully constructed around her heart, and she’s just as determined to stay the course. Lord George Kerr knows this better than anyone. For five years, as a spy for His Majesty the King, he played the part of a Rake, concealing his espionage activities beneath a blanket of brothels, drink and loose women. Even though he’s forced to resume his regular life within London’s finest society, he still must keep some things hidden. One thing he does not hide is his attraction to Miss Catherine Bennet of Longbourn. Enraptured by her beauty and warmth of character, he plunges headlong into winning her heart, only to find it carefully guarded and she’s unwilling to give him even a small pinch of hope. When circumstances bring Kitty’s secret into the open, she fears the tenuous bonds of friendship she’s forged with Lord George will be lost forever along with whatever love he proclaims to have for her. With the very lives of England’s vast network of spies working undercover in Bonaparte’s France hanging in the balance, she’s forced to face her worst nightmare. Her secret is laid bare, can he love her enough to overcome what he learns? From there you can follow her on Facebook or Twitter or hop on over to her blog and find out how boring her life really is…. While there, don’t forget to sign up for her announcement only newsletter. No spam. Pinky promise. Sue Barr, transplanted Prairie Girl, now lives in beautiful Southwestern Ontario, Canada with her retired Air Force hubby, close to their two sons and families. When not busy writing she loves to read and bake, watch cooking shows and Survivor (don’t judge). deviated from appointed path and rescued a few dogs as well. as well as American Christian Fiction Writers. 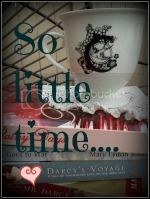 When Sue retired in 2015 from the London Police Service, she re-discovered #JAFF. Prior to that she’d read Pamela Aiden’s trilogy and, like all of us here, watched every movie ever made of Jane Austen’s books, as well as the spin-offs. Her favorite is Lost in Austen. About that time, her childhood friend (Suzan Lauder) introduced her to A Happy Assembly. 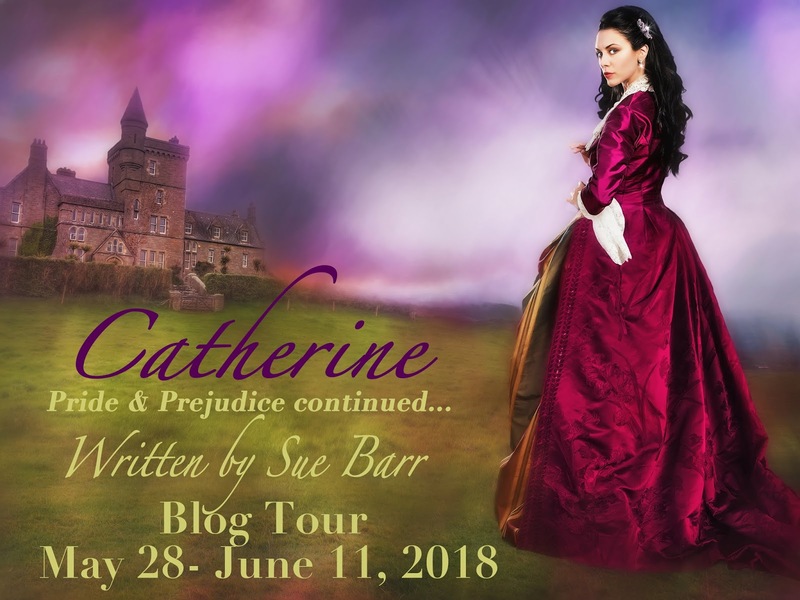 It wasn’t too long before the plot bunnies escaped and Sue began to wonder ‘whatever happened to Caroline Bingley after Charles and Mr. Darcy became engaged to the Bennet sisters?’ From that, CAROLINE was born, followed by CATHERINE which we are talking about today. In the works is GEORGIANA and who knows what else will follow…. All giveaways are open to international winners. of the blog where they commented. Each entrant is eligible to win one eBook or paperback book. Congratulations on your new release, Sue. I wish you much success. Please come back anytime. I am so happy that your husband encouraged you to write. I love when secondary characters are fleshed out and I can’t wait to see what you’ve done with Kitty. Wasn't this a great spotlight. I loved reading about Sue. I'm glad her husband encouraged her too. I really enjoyed this post, Sue. I’m glad your husband encouraged you to write and Suzan introduced you to AHA. This book sounds exciting, romantic, and mysterious. I’m curious to learn Kitty’s secret. Wishing you great success with Catherine! Thanks for stopping by, Jan. Doesn't the book sound good! All of your adjectives are perfect! I want to know Kitty's secret too. Thanks for stopping by, Susan. Glad to hear that your husband writes full time now. That's great! I'll look for some of his books. This is my first introduction to your book and I love it! Now you have my curiosity and I, too, want to know Catherine's secret. Thanks for the preview. I don't mind knowing Kitty's secret and how it shaped her views on marriage. It's great to know you through this author spotlight, Sue. Thank goodness your husband was there to encourage you to write. If not we may not be introduced to your version of Caroline, Catherine and (did I hear correctly) Georgiana. Hello everyone! So glad you joined us here today. Catherine's secret is a painful one, but you'll soon find out she's a survivor and a strong woman. Luthiene, my next #JAFf book will be about Georgiana Darcy and the third Kerr brother, Maxwell, the 5th Duke of Adborough. Be prepared for much angst. Oh No. I might have to hide behind the blue couch, as they say on A Happy Assembly (Fan Fiction site). What a great, encouraging husband you have, Sue! He sounds like a keeper! I’m looking forward to reading Kitty’s story. The more I read about this book the more I want to read. Now this makes reading 'Catherine' even more interesting as it will have a part of you in it! Send your husband my thanks for encouraging you to write! Thank you for a chance at the generous giveaway! Hmm! Must admit to being very intrigued by this story's premise!! Catherine,vowing she'll never marry because of a secret she holds dear. Lord George,fully aware of the power of secrets,is attracted to her. Will he be assweerht persistent as Sue's own dear hubby,or will he fall at the first hurdle? Yes,my interest has definitely been piqued!!! Best of luck with this be,Sue! Janet,thank you for hosting this lovely post! So Catherines story is also a very personal one. I like the sound of this book a lot & wpould like to read it! Thanks for sharing some of your personal story with us, Sue. Your husband sounds as if he's an amazing guy (a bit like mine, actually!). After reading and loving "Caroline" (seems a strange thing to say about that lady, but you convinced me! ), "Catherine" went on my Wish List as soon as I heard about it. "Georgiana" will be doing exactly the same. The Kerr brothers definitely make some swoon-worthy heroes.